I tend to be a yarn hoarder. I'm sure that statement surprised you, huh? haha. I have a massive basket of yarn, and then a few other baskets, and maybe some bags... oh well, you get the idea. I like yarn. I especially like it when I can find a nice yarn at a great discount. 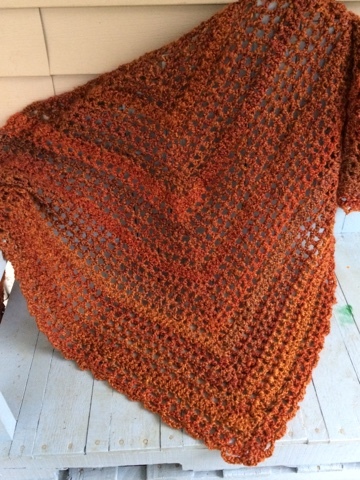 Which is what happened with the yarn in my Happy October Shawl. 3 skeins, deeply discounted. I was so thrilled. Did I know what I was going to do with these deeply discounted skeins? Uh, well, no... but I would do SOMETHING with them. Because they were so beautiful. The colors are fiery! Gorgeous shades of orange, red, strawberry blonde, auburn, slightly burgundy, it's chock full of autumnal colors! Just like my husband's beard! By the way, Shannon has been growing his beard since January 1st of this year and plans to continue growing it until December 31. It's pretty epic. It's kinda wild and wooly, but I like it. 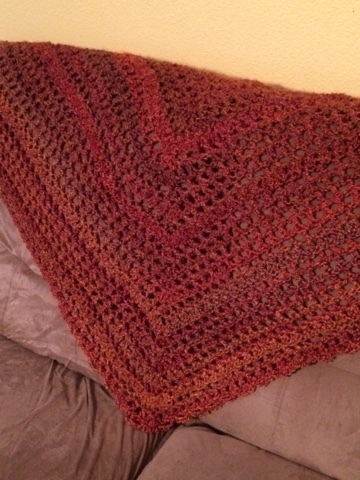 And like I said, the colors are SO beautiful, just like in this yarn! 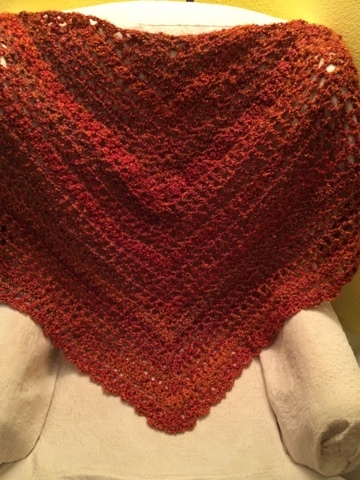 A couple nights ago, I decided to make myself a shawl. 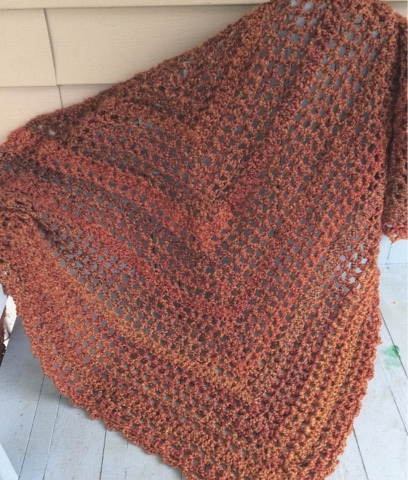 Shawls aren't just for old ladies any more. Even though, I am not afraid of being an old lady, I look forward to it... plus, next month I will turn 40! What??? To wrap around my shoulders. 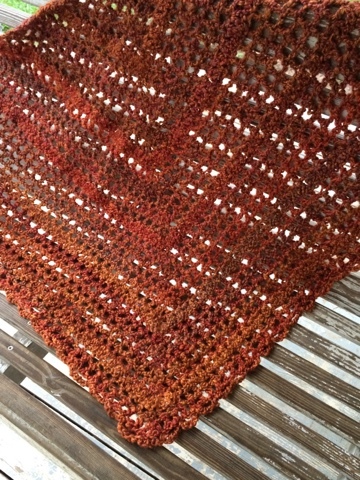 Thus my Happy October Shawl was created. I look forward to wrapping up in it's softness for many nights to come.